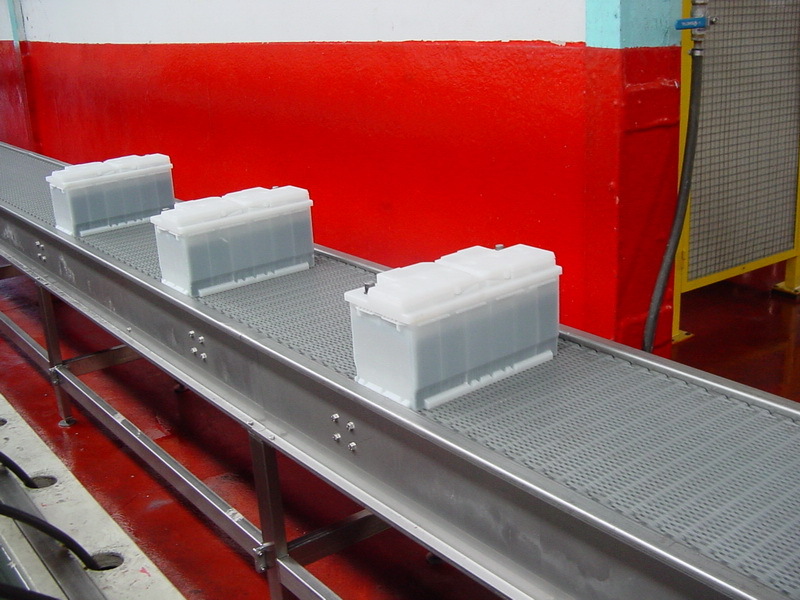 This industry requires very long conveyors for the big assembly lines. 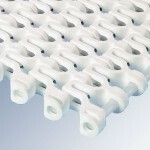 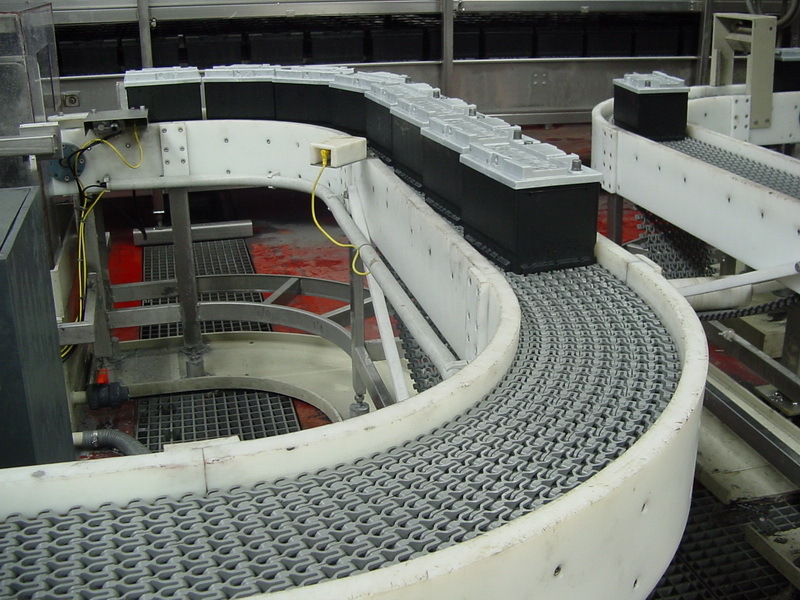 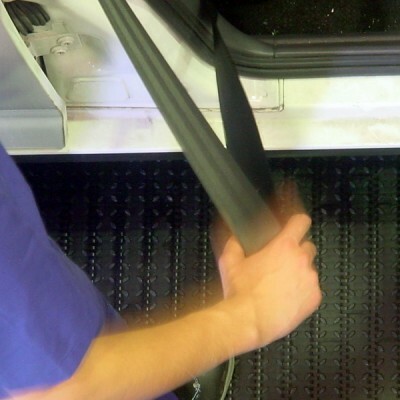 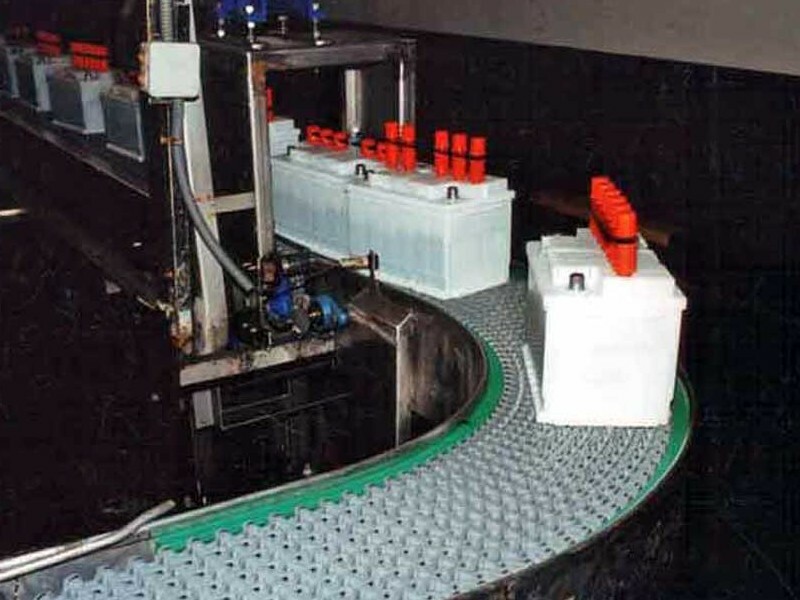 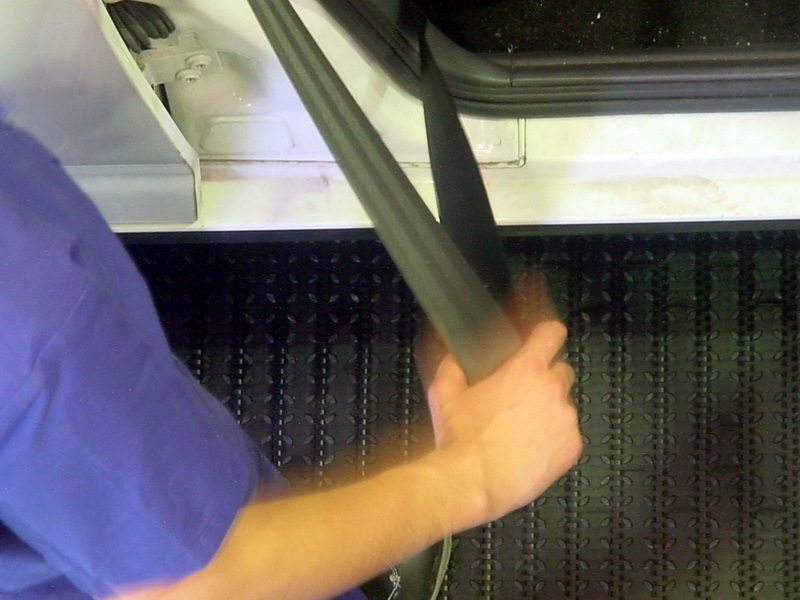 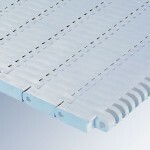 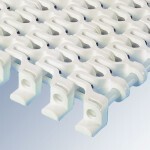 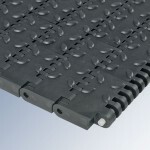 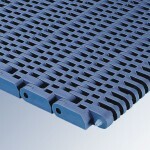 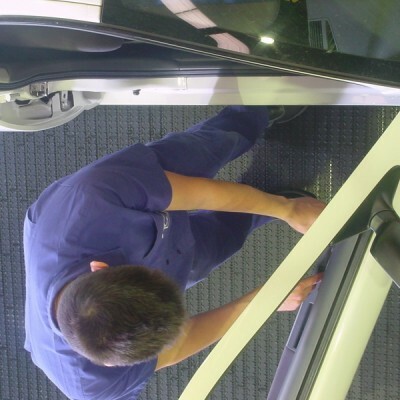 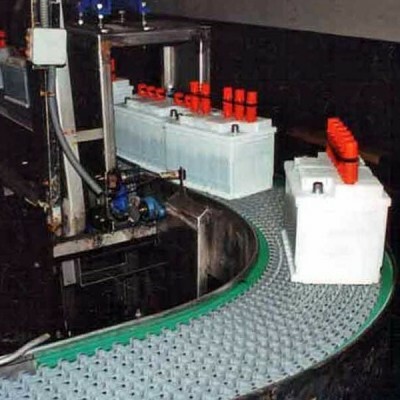 Some years ago this task could just be made by chains, but nowadays the modular belts, injected with technical plastics of great resistance, can carry it out, having as main advantages an initial low purchase cost and a minimum maintenance, as well as the specific benefits of the modular system. 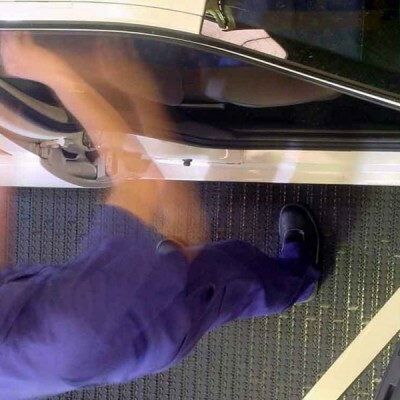 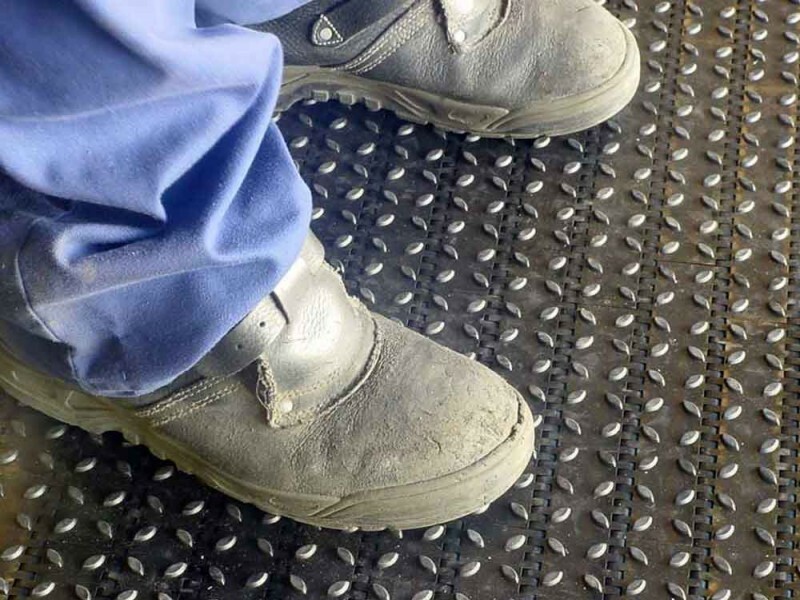 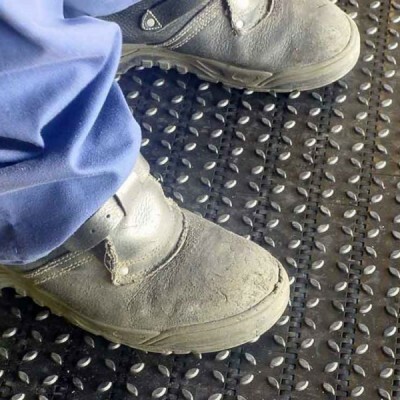 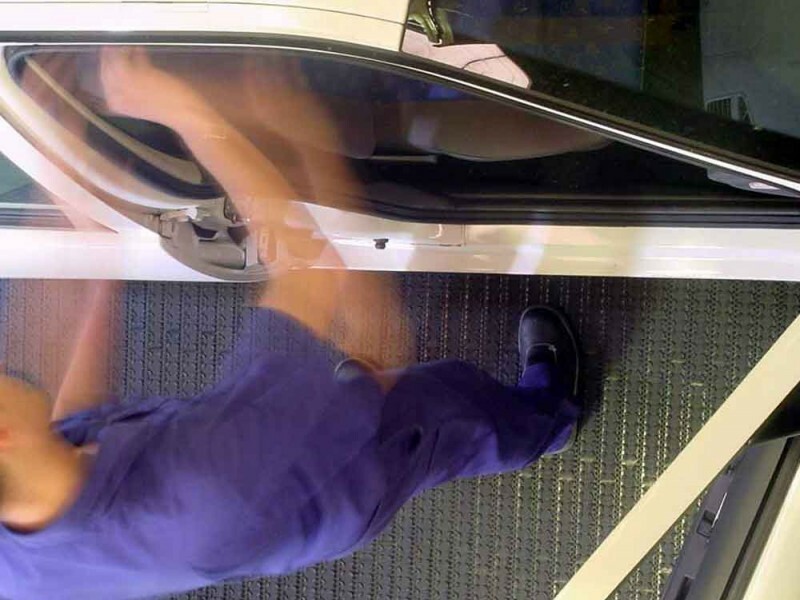 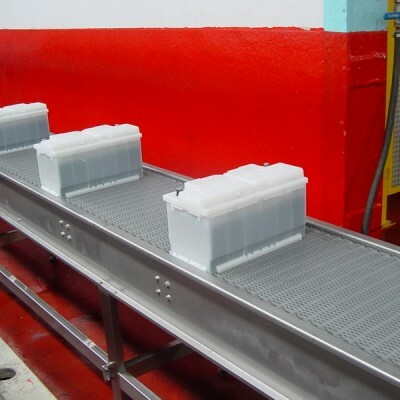 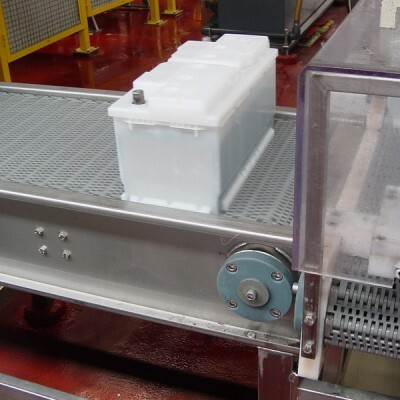 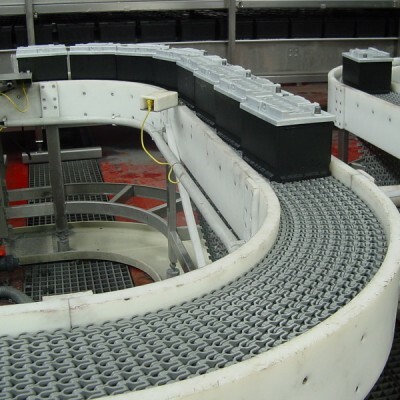 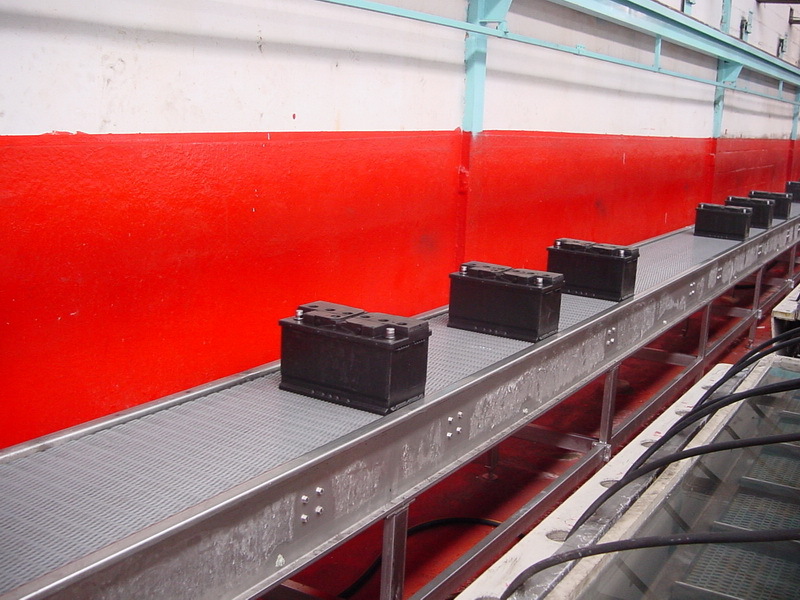 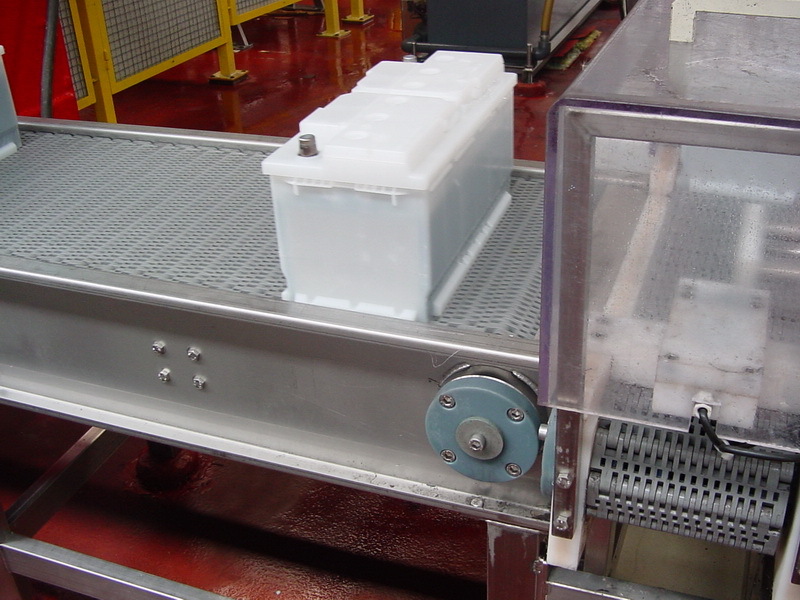 EUROBELT supplies the Series E40 NON SLIP style for conveying people on an anti-skid surface for conveyors that can exceed lengths of 100 metres. 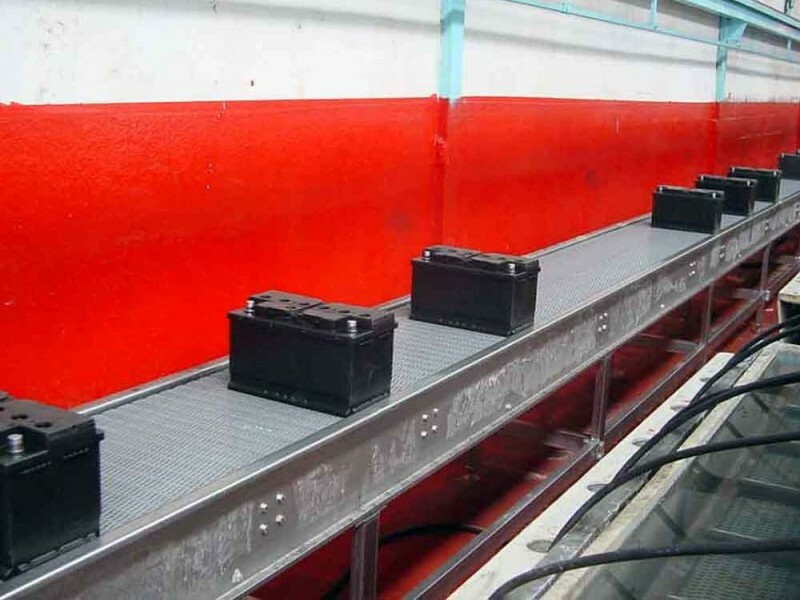 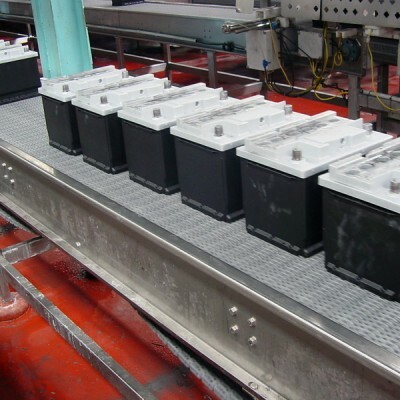 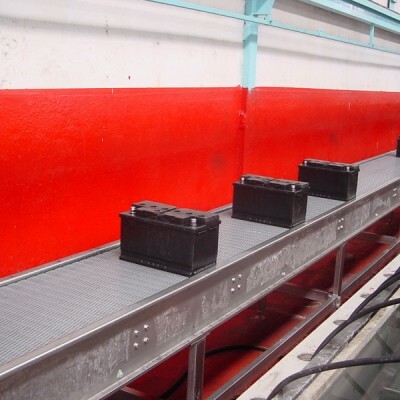 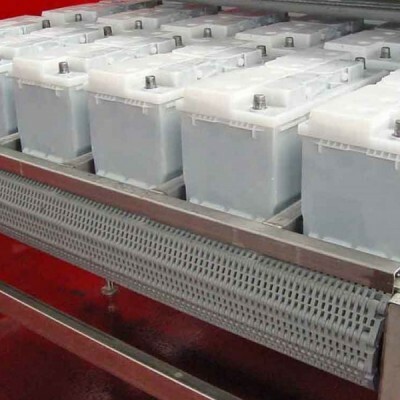 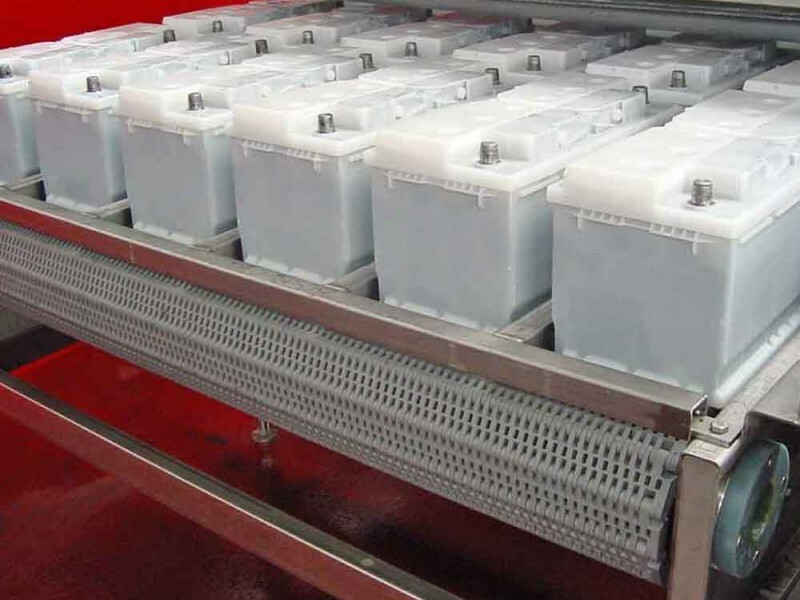 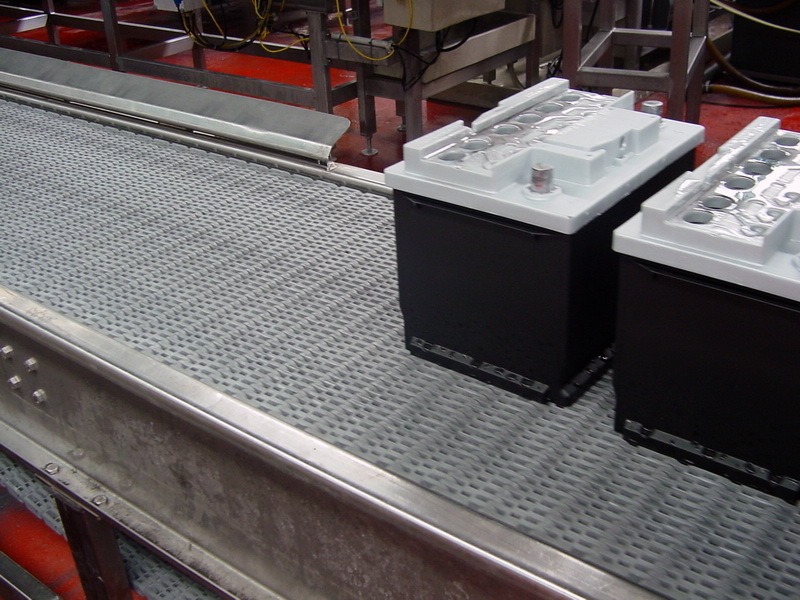 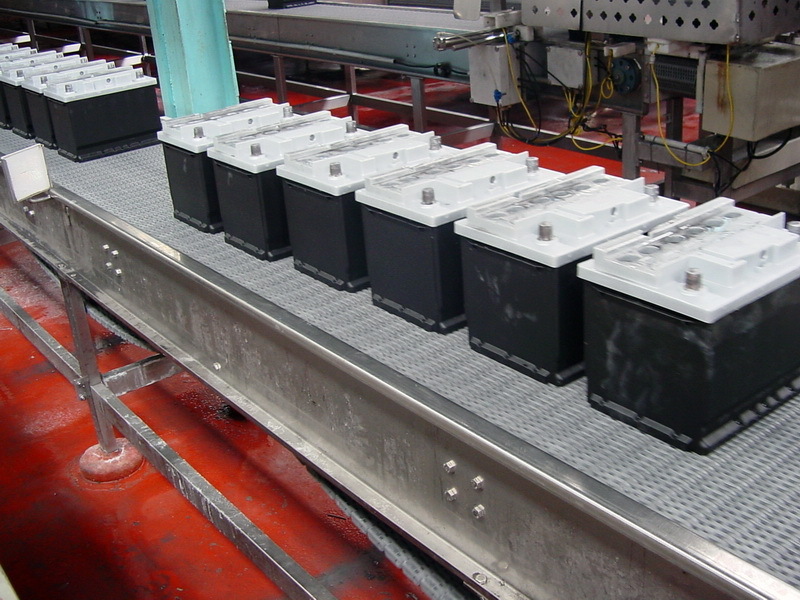 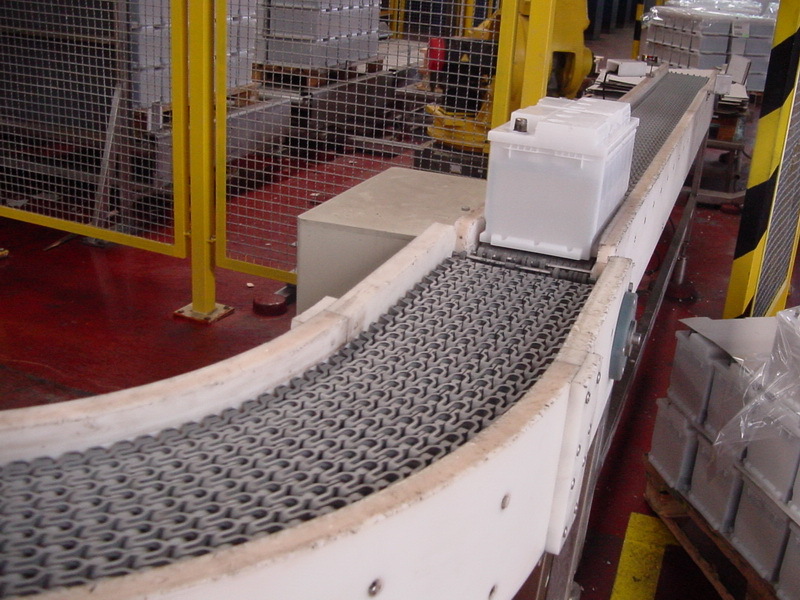 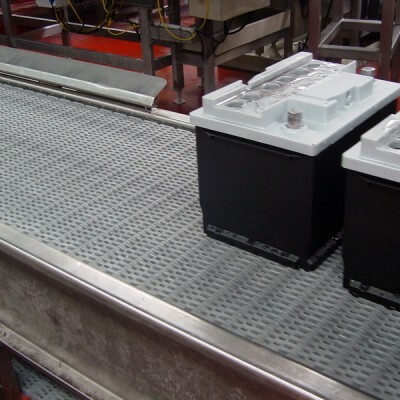 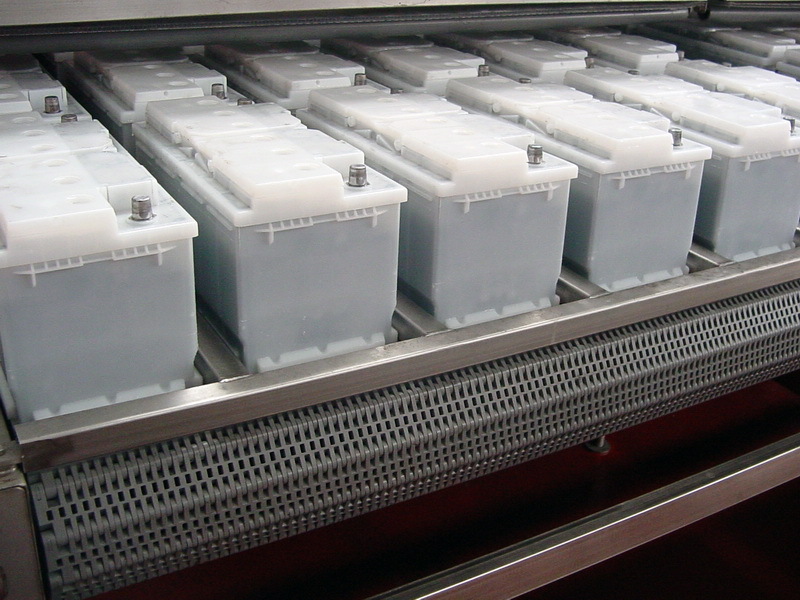 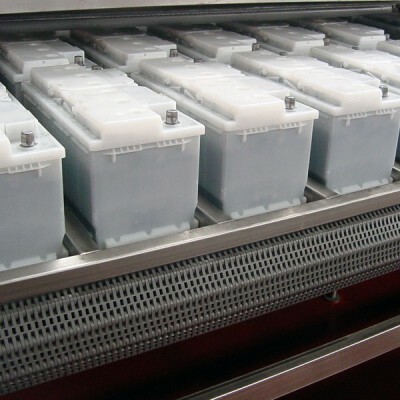 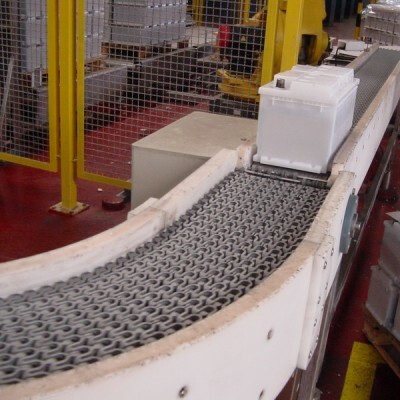 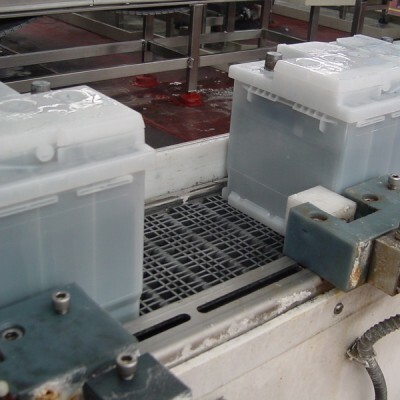 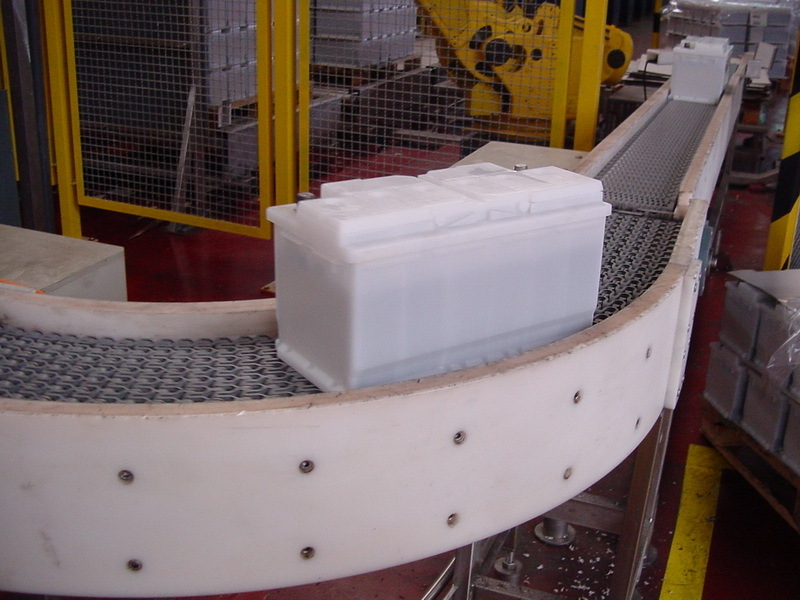 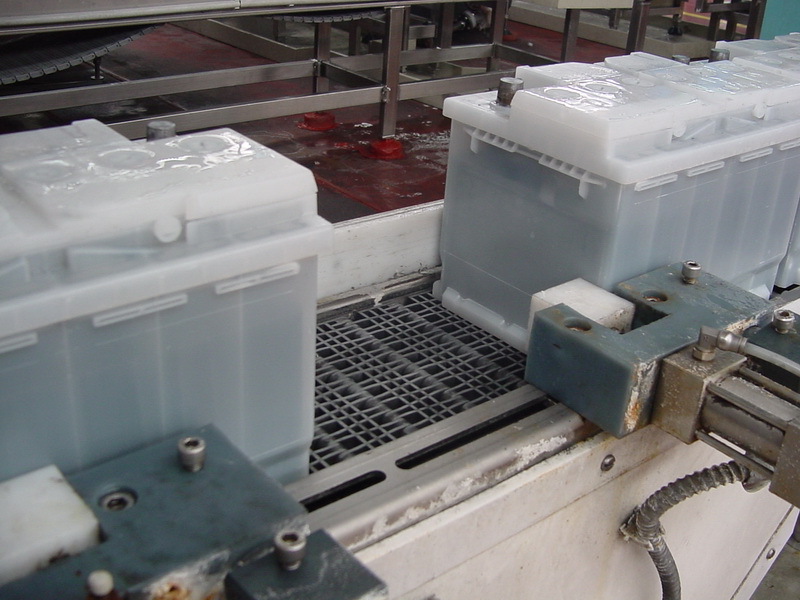 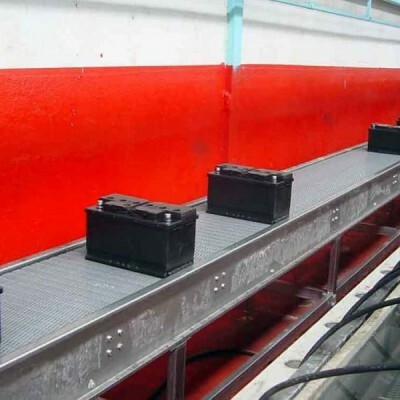 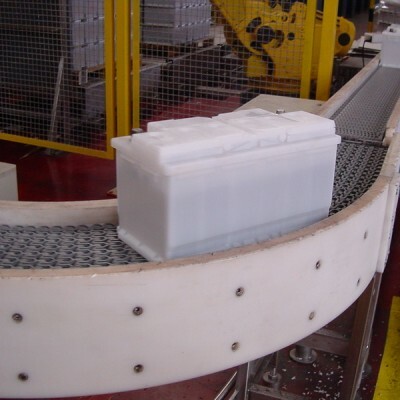 Also the manufacturers of batteries can take advantage of our system, forgetting about the feared corrosion caused by the sulphuric acid, as well as the manufacturers of tyres, who will avoid the metallic contamination of rubbers during the manufacturing process.